NEO, the LMS for schools and universities from CYPHER LEARNING, was selected by UNINETT as one of three LMS providers for the Norwegian Higher Education sector. NEO, the LMS for schools and universities from CYPHER LEARNING, was selected by UNINETT as one of three LMS providers for the Norwegian Higher Education sector. 20 universities and colleges participated in a public procurement process for a new learning management system. The selection process started in November 2015 and 12 learning management systems were evaluated initially. The evaluation process was comprehensive, taking into consideration pricing, educational aspects, technical aspects, design, and architecture. There were also usability tests conducted, where participants had to carry out certain tasks in different systems. 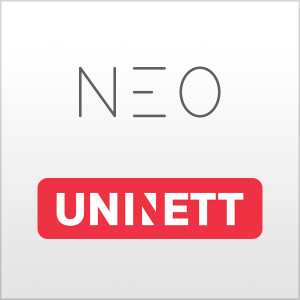 At the end of the evaluation, UNINETT awarded contracts to one preferred vendor, as well as two other qualified vendors, including NEO LMS. In the UNINETT evaluation, NEO was rated as the #1 LMS for usability. NEO has a beautiful, clean user interface that helps improve users’ performance and makes learning more engaging. NEO was rated very well for its pricing too. NEO has license fees that are typically half the price of other vendors and there is no charge for setup, support, or storage. NEO also provides the range of functionality you would expect in a modern LMS, with innovative features such as a rules engine, gamification, learning paths, drip content, content synchronization, and more. To schedule a demo or get more details regarding NEO, please contact Tudor Babtan, the Director of Sales for Europe at tudor@cypherlearning.com. UNINETT AS, the Norwegian NREN, is the parent company of the UNINETT Group. UNINETT provides network services for universities, colleges and research institutions, as well as carrying out other national ICT tasks. UNINETT is a non-profit company owned by the Norwegian Ministry of Education and Research. UNINETT provides a range of services to the Norwegian higher education sector. UNINETT performs innovation and development work in its core technical fields and is part of the European NREN association, GÉANT, through the NORDUnet collaboration. NEO is a world class, award winning LMS for use by schools and universities that makes it easy to create great classes that student will enjoy anytime, everywhere. NEO provides a complete solution that incorporates all the tools educators and students need in their activities. NEO is a product of CYPHER LEARNING, a company that specializes in providing e-learning platforms for organizations around the world.